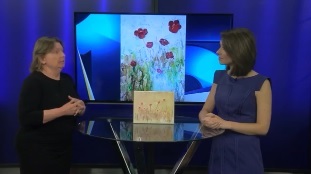 Sherryl Guillory stopped by the News15 studio Tuesday afternoon to showcase some of the art you can see at ArtWalk! She has a mystery painting hidden along ArtWalk. If you find the painting, patrons will get 15% off any commissioned art piece and will get an additional 25% ant art work on Sherryl Guillory Art Studio and Art by Sherryl on Facebook. Guillory has commissioned art work for an upcoming movie being shot in Baton Rouge. The screenwriter, Randy Austin, will also be at Chase Tower. Randy is best known for acting such movies as “Into the Electric Mist” starring Tommy Lee Jones and Austin had a major role in “99 Homes” starring actress, Lora Dern. The movie also won a Sundance award.